The logistics industry is one of the sectors that is often viewed as lagging behind when it comes to the use of technology in operations. Technology has grown at a magical pace; there are new innovations being made every day that are transforming how people work in different sectors of the economy. In recent years, however, players in the industry have embraced technology and this has greatly helped in solving the many challenges associated with manual operations, and the future is even brighter in the years to come. Electronic logging devices (ELD) are one of these technologies that while being adopted, have become a polarizing topic. Drivers and independent fleets feel like they place an unfair burden on them, disrupt their ability to manage their business, and represent government overreach. Large fleets feel differently. They argue that a level playing field should exist. Because they are subject to regular audits from FMCSA, subject to litigation by ambulance chasers and dishonest lawyers that paint them as evil large corporations, and receive pressure from insurance carriers, they argue that everyone should play by the same set of rules. So ELDs appear to be inevitable. Even with delays and changes - it is going to happen. ELDs are designed to enable truck drivers and motor carriers to record and electronically track the driver’s RODS (Record of Duty Status). The technology aims to create a breadcrumb record of all driver on-duty activity. It is also intended to simplify, as well as quicken, accurate tracking, management and sharing of RODs. It is an electronic solution to traditional paper logbooks. The device is also used to ensure compliance with hours-of-service (HOS) regulations. The blockchain is popular in the money market as it was created as a system for running crypto-currencies such as Bitcoin. It was highly embraced by big banks and giant companies to help cut down on cost and transform business transactions globally. Though created for the money world, blockchain technology is being applied in different industries to solve tough business challenges. 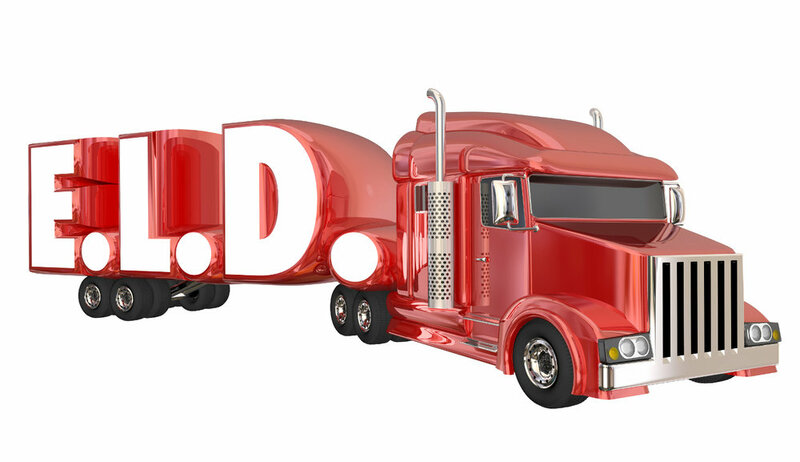 It has a place in the trucking industry too and the expected benefits are unimaginable. Connecting the ELD and the blockchain technology will ensure that the fleet is in compliance in a number of ways. This will enable real-time management of log violations, an important tool for trucking managers. It is possible to tell even when a driver exceeds HOS (hours of service) by minutes and records the violation. It will also help in retaining supporting documents for HOS and audit of the ELD data (fueling, purchases and dispatch data). The ELD data audit will uncover cases where the driver logs off while fueling, pre-trip inspections, hooking up trailers or such other work-related tasks. The fleet managers will be able to get instant notifications which need their interventions such as a moving driver, who has already exhausted the drive limit. Drivers too can get notifications for instance to warn them ahead of reaching their hours limit. The ELD-blockchain technology allows the players in the trucking industry to create a roadmap of items in transit. The truckers are allowed to drill down and know the expected movement of the shipment from pickup to delivery as well as individual items within the shipment. Manufacturers and distributors will be able to track items from source to the point of sale. In a nutshell, the technology increases security and safety as it minimizes concerns about theft. The technology can also help in tracing the source of a problem when it happens during shipment, thus preventing huge financial losses. The drivers and fleets are not controlled by holding patterns hence no wastage of time. Drivers can also be paid immediately upon delivery. Maintenance of records will also be transparent and verifiable. Payment for fuel, repairs or any other service/product is immediate and self-executing within the integrated system. It also simplifies dispute and claims resolution and records carrier history and safety to the end of its life.